Although it is destined to launch in the US as a T-Mobile exclusive, stats captured off Occasional gamer show the Lumia 925 on AT&T’s network. To add more intrigue, the Lumia 925’s specifications on the Nokia Developer site confirm the US variant of the 925, RM-893, does support LTE band 17 (700MHz) which is used by AT&T. What do you think is going on? We could grab at any number of reasons, but the simplest explanations are usually in the ballpark. If a customer bought one from T-Mobile outright and was not bound by an equipment purchase plan, it would allow them to use the device on AT&T’s LTE network. 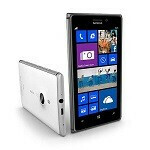 It is also possible that AT&T will offer the Lumia 925 to replace the 920 after the T-Mobile exclusivity period ends. With the expectation that AT&T will also carry the Nokia EOS, that is not such a difficult concept to grasp - pack the bench with winners and you will attract a lot of attention. Also, as more carriers’ LTE services become the norm, and as chipsets are able to handle more carrier bands without taking up more room, it will be more and more common that all these devices will work on different bands, much the way most late-model HSPA handsets do today. Short of AT&T offering the Lumia 925 directly, it is not outside the realm of possibilities that Nokia would want to sell unlocked models after the T-Mobile exclusivity deal is over as well. Either way, it looks like folks on AT&T that think the Lumia 925 is calling their name might be able to answer. Read up dude... It's super easy to unlock the 920 and I did so in less that 5 minutes. It's as easy as a call. I unlocked my 920 without much difficulty also (shrug).